Assessing past performance, Harry Nicholson, EY Parthenon, asks whether secondary buyouts are less risky than primary deals, and whether they offer comparable returns. 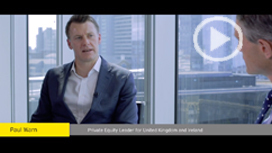 Paul Warn, Private Equity Partner, describes how leading private equity managers at the BVCA Summit opened the door on what Private Equity 4.0 looks like to them. Find out why cybersecurity is no longer just a box ticking exercise in private equity due diligence processes. Private equity firms, portfolio companies and investment funds face complex challenges. They are under pressure to deploy capital amid geopolitical uncertainty, increased competition, higher valuations and rising stakeholder expectations. Successful deals depend on the ability to move faster, drive rapid and strategic growth and create greater value throughout the transaction lifecycle. EY taps its global network to help source deal opportunities, and combines deep sector insights with the proven, innovative strategies that have guided the world’s fastest growing companies. Our clients discover powerful new ways to create unexpected paths to value — generating positive economic benefits for both investors and society. That’s the power of positive equity. 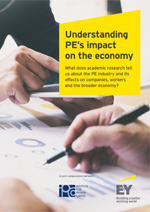 PE firms are increasingly challenged to develop and deploy a more complex operating model than ever before. Firms turn to EY for guidance on extending into new verticals, reaching out to new types of customers and managing data from an ever-widening array of sources. Alternative asset managers need to drive efficiency through multi-year target operating models and infrastructure strategies to remain competitive. These improvements align strategic growth plans with vendor and service provider activities. EY defines and monitors data analytics and key performance indicators to assess data governance and risk against these target models. Large asset managers have hundreds of legal entities in multiple countries and continually create new ones – all with different compliance obligations. Many are outsourced and require local knowledge. EY gathers the data, leverages local EY teams knowledgeable in accounting and tax laws, performs data analytics to identify trends, risks and opportunities and monitors filing requirements. High valuations, competition from corporate acquirers, and increased macro- and geopolitical uncertainty are leading to one of the most challenging periods for deployment on record. Firms have US$580b+ in dry powder, but need help finding attractive targets. EY’s proprietary investment approach, driven by deep sector insight and analytics, enables firms to confidently place winning bids that generate appropriate returns. The intense competition for a limited number of deals raises stakes to win for private equity firms. A proprietary investment approach driven by sector insights enables firms to confidently place winning bids that generate appropriate returns. EY’s global origination team turns opportunities into actionable strategies. Our proprietary knowledge and advanced analytics help develop strategic capital options to help firms achieve success. Private equity firms conduct diligence on assets across strategic, financial, tax, operational and HR issues. Firms historically used issue-based advisors, managing different parties and consolidating findings at the end of the process. Employing EY’s integrated diligence approach at the early stages of a transaction provides more effective, comprehensive diligence on an asset, giving firms a distinct competitive advantage. 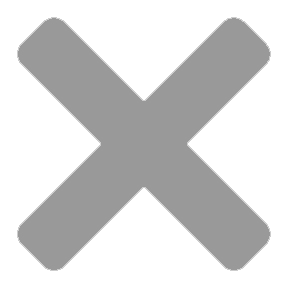 Multiple expansion (buy low, sell high) is no longer a significant source of return. Clients look to EY for guidance on the operational improvements that accelerate transformative growth and create value in portfolio companies. Private equity firms face increasing pressure to attract fresh capital and create value. This requires generating greater investment returns and facilitating transformative growth in the portfolio. EY’s heritage serving the world’s fastest growing companies addresses these challenges across all stages of the deal lifecycle, including deal origination, diligence, inception, optimization and exit strategy. Private equity firms must plan exits rigorously in order to successfully monetize their investment during the exit process in today’s challenging environment. Executives must identify key short- and long-term priorities prior to undertaking an IPO or alternative transaction. EY can advise deal teams and portfolio companies on exit alternatives, assess exit readiness, prepare a company for an exit/IPO and create a value story for targeted buyers. For any marketing queries please contact Marella Borthwick. Contact a member of our team to see how we can put our Private Equity experience to work for you. For general inquiries, please e-mail us.